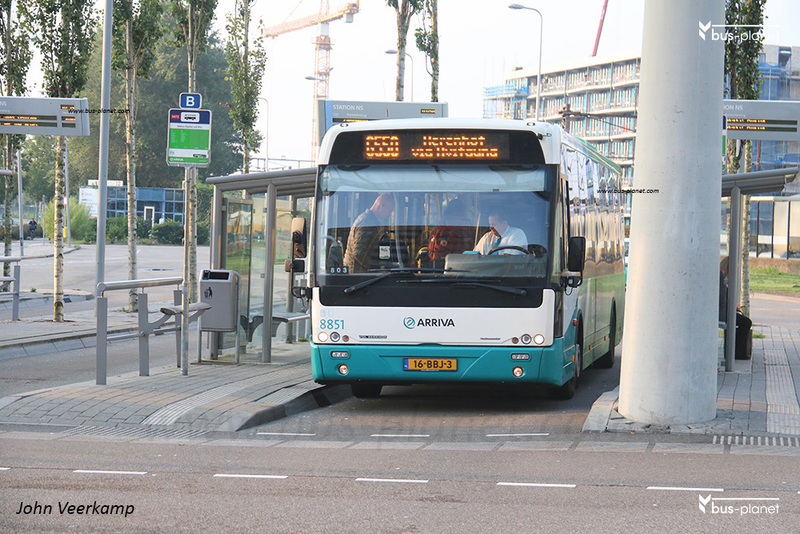 For the city services in Alphen aan den Rijn and some city routes in Gouda Arriva wanted shorter vehicles and ordered th 10.6 meter version of the VDL-Berkhof Ambassador. At the time VDL had not yet developed the short version of the Citea and so the older Ambassador version was built. 8851-8855 are assigned to Alphen aan den Rijn and 8856-8860 to Gouda.